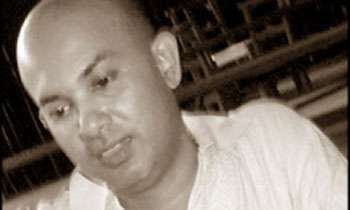 A veteran drama director of Colombo International School Vinod Senadheera, passed away this afternoon at the age of 45 from a heart attack, his friend Jith Peiris said. He said Mr. Senadheera had also been directing plays for St. Thomas' College for a number of years and that his death was an enormous loss to the world of drama. Great loss to local theatre... deepest sympathies.